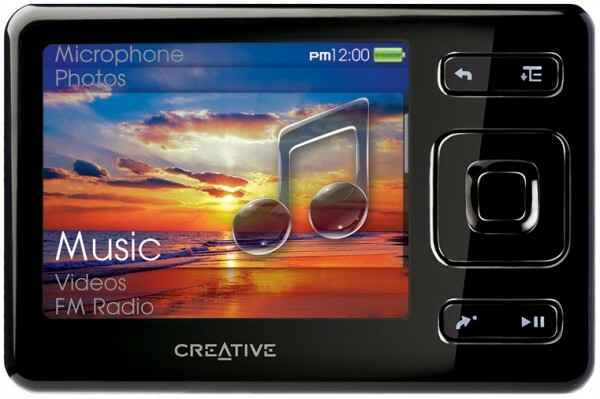 Last week Creative introduced a new “credit-card-sized” multimedia player with a 2.5-inch simply called the Creative ZEN. One neat aspect is that it now supports playback of the new unprotected iTunes Plus tracks in addition to DRM-Free WMA and MP3. As for paid media, the unit is compatible with Napster to Go. And for video formats the ZEN can read WMV9, MJPEG, MP4, DivX, and XviD. In addition it reads JPEG, BMP, GIF, PNG, and TIFF since it’s also a photo viewer. Other features built into the ZEN, which aren’t found on iPods, include a FM radio with 32 custom presets, a voice recorder, and an organizer with contacts, to do lists, and calendar which syncs with Microsoft Outlook. The unit is available in capacities of 4GB, 8GB, and a whopping 16GB (all flash-based). In addition the unit accepts standard SD cards, which are available at prices as low as $20 for 2GB. As for battery life, Creative claims approx. 25 hours for music and 5 hours for video playback. 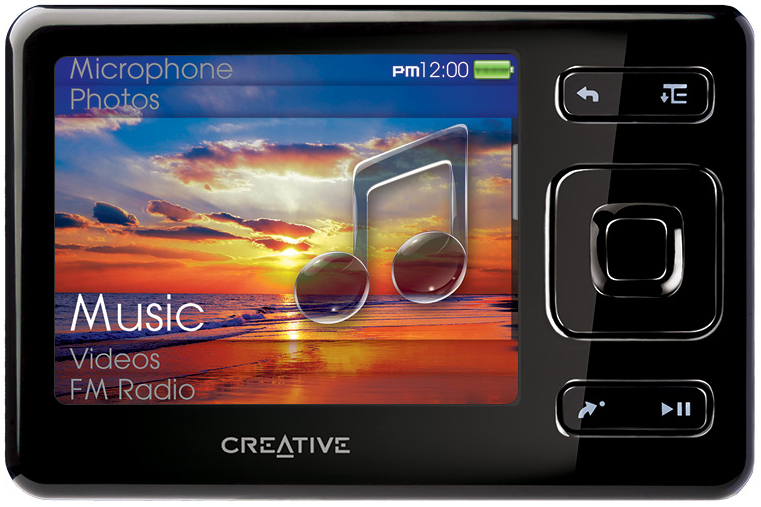 The new Creative ZEN hit the market this month (September 2007) in Asia and unfortunately isn’t available yet in the United States. Creative is expected to launch this product worldwide very soon. As for pricing, after a currency conversion, the units will approximately cost $150 for 4GB, $200 for 8GB, and $300 for 16GB ($USD). As the holiday season is only a few months away it will be interesting to see what types of media players other companies including Creative will introduce to compete with Apple’s infamous iPod. We are trying to get a hold of a unit for review, so check back soon! UPDATE 09/20/07: We’re getting one next week for sure and we promise an in-depth review!